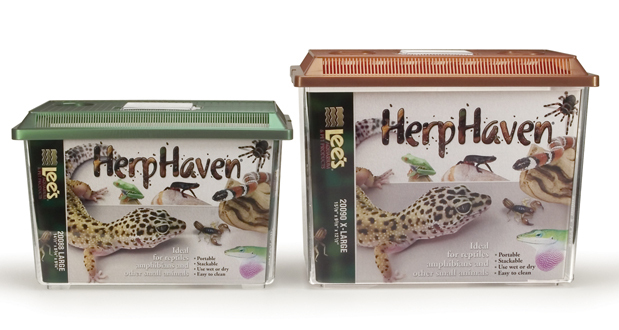 HerpHavens® are the ideal carrier for various species of reptiles & amphibians. Rectangular HerpHavens® have self-locking lids with hinged viewer/feeder window. Includes carrying handle for easy transport. Copyright 2017 Lee's Aquarium & Pet Products.